A man who threw acid in the face of a former Olympics competitor, then stabbed and beat him to death, has been jailed for life at the Old Bailey. Ference Ifi mounted the attack on Tamas Bujko, 45, near Sudbury Hill tube station in north-west London, in front of commuters who begged him to stop. Mr Bujko, a judo fighter who competed in the 1988 Seoul Olympics, died from head and chest injuries. Ifi, 35, from north London, was told he must serve a minimum of 16 years. Mr Bujko, who had also won a silver medal in the World Championships, also had 17 stab wounds around his eyes, collapsed lungs and broken ribs. 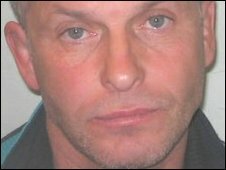 Simon Denison, prosecuting, said the revenge attack happened at about 0500 GMT after Ifi ambushed Mr Bujko at a cash point near the Underground station. He said Ifi, a waiter from Wembley, set about killing Mr Bujko in a "calm, calculating and brutal" attack. He said: "It was utterly merciless." The court heard the two men barely knew each other, but they had clashed six months earlier when Ifi went to collect post from his former home which was then occupied by Mr Bujko. Doctors found Ifi was not mentally ill, but had a condition which made him need to seek revenge. Paul Purnell, QC, defending, said Ifi felt frustration that the police had dropped his complaint that his elbow was badly bruised and he was humiliated. Mr Bujko's wife Erzsebet said: "I am still unable to understand why my husband was murdered."